I’ve been non stop the past 7 days, with no time for blogging, reading my rss feeds or just simply sitting down and chilling. Finally today I’ve got some time for myself again to take some time out and just rest. I’m completely worn out, mentally and physically. So what have I been up to, you ask? This was a one-day BarCamp organized by Vero. 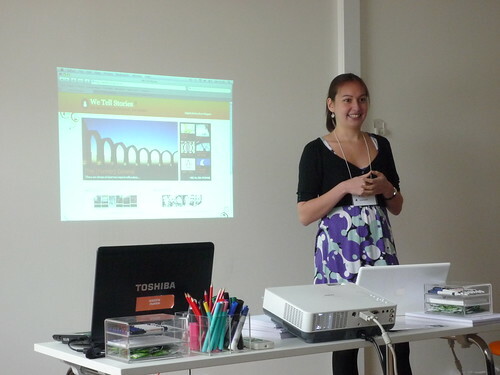 I had my doubts about beforehand, wondering if it would be a “real” BarCamp, but it turned out to be great! Fantastic sessions, yummy food, interesting people, but most of all the right BarCamp mindset. Plus even more people showed up to my Alternate Reality Games session than with BarCampLondon5! Looking back it may have been a wiser plan to have done this during a less busier week. Singing for four hours long can be pretty hard on your voice, especially if you have to talk even more the next couple of days. It was great fun though! Moo kindly sponsored this event, with free drinks until the tab ran out. The idea was to “pay” for your drinks by handing in a Moo card… and of course I forgot to bring mine with me. Anyhow, it was good to catch up with some people who were especially in town for FOWA. My parents were in town for five days, so I wanted to meetup with them for some dinner. 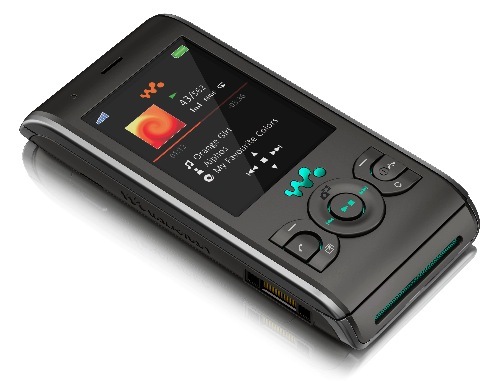 But then there was the idea for a last minute GeekDinner with Kevin Marks, and I was invited to a product launch of the Sony Ericsson W595. I decided to try to do all of them. We met up with my parents around 16:00 to have a nice meal at YoSushi!, and then afterwards had some coffee and desserts (Belgian Waffles with ice cream, FTW!) at Patisserie Valerie. Cristiano then went to arrange the GeekDinner (I’d meetup for drinks later) and I went on to the SE-W595 launch. I’ll talk more about that event in a later blog post, but suffice to say it was a pretty cool experience (free vodka cocktails!). Plus I actually got a W595 to play with! I had to get up at 5:30am. Ugh, I am so not a morning person. I had offered to volunteer at FOWA during these two days, but that meant being there at 7:30. Which meant leaving at 6:30. Which meant getting up at 5:30. Ugh. Anyhow, I first got to help out at the registration desk, handing out badges and lanyards. Then for the rest of the two days, I got to be a microphone runner. This basically meant I had to be on standby at the end of every session in the case there was time for questions and run around with the microphone to the people who had those questions (the developer room had places for more than 1000 people, just to give you a scope of why there’s a need for a runner). It wasn’t too bad, half of the sessions didn’t even have questions and I had enough time to go to the sessions I wanted. I only didn’t get enough sleep, enough food, and add to that the running around, so I wasn’t fully attentive to the content of the sessions. The sessions were recorded though and are available on the FOWA website, so I will get to see the stuff I missed. The Friday sessions ended again with the recording of Diggnation. After last year’s revelation of the rock star atmosphere, I wasn’t surprised to see the same happen again this year. After the recording, there were free drinks in the Fox bar and I got to mingle with Fowa attendees and Diggnation fans. We stayed until the end (which was 2ish) and with a couple of others took a night bus back to the center of London. We hadn’t eaten since that afternoon though (no food for more than 12 hours! ), so decided to grab some food in Soho. Then we found out our bus was on strike, so it was horrible getting home from there: we only got home at 5! Today my parents were leaving again, so yesterday they wanted to drop by and see my apartment. Great! But that meant cleaning the house and not getting to sleep out too long. As mentioned above we only got to bed at 5ish, so getting up at 12, we didn’t get our full 8 hours of sleep. Anyhow, we later on had some okay Indian food (some dishes were great, others so-so. Anyone know where’s the best place Indian in London?) and went to Riflemind, a play starring John Hannah. It wasn’t really my type of play (a bit too depressing and serious), but it was nice to see my parents again. So that was my week. Busy, right? Next week is splendidly quiet and uneventful, but then I need some peace to recover from all this. Keep an eye on some blog posts the next couple of days; I at least want to blog about SocialMediaCamp, the Sony Ericsson W595, and FOWA.